I often receive letters that range from amusing claims that we are overlooking changes in the magnetic field, to tales about how the “weight” of carbon dioxide keeps it “near the ground”. If the writer sounds serious, then I treat them seriously, and do my best to provide a helpful reply. Often, though, I find myself in a pointless debate of the most basic, well-established physical principles. I generally cut off the discussion at this point, because I simply don’t have the time. This can result in a hostile response accusing me of “having an agenda”. Most would call me naïve for bothering to respond in the first place. But it is possible, after all, that somewhere in that barrage of letters lies a brilliant idea that ought to be heard, and could change the course of scientific history. How to tell the difference? Well, there is a story that we tell in our family that might provide some perspective on this. The story is about Wilhelm Reich, the controversial Freudian psychoanalyist (1897-1957). 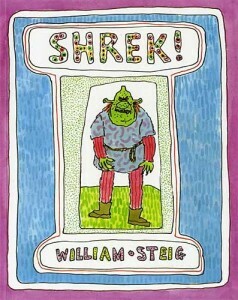 Reich was a personal acquaintance of my great uncle, William Steig, creator of Shrek, and illustrator of ones of Reich’s books. Reich thought he had made a major discovery in physics that proved the existence of a previously unrecognized form of energy, which he called “orgone energy”. He had built an “orgone energy accumulator” (basically a box whose walls were comprised of alternating layers of organic material and metal). He had done some careful experiments that demonstrated that the temperature inside the box increased above the ambient outside temperature. He made calculations that (he thought) demonstrated that the increase was greater than could be explained by thermodynamics, thereby proving the existence of an extra source of heat, which he attributed to the mysterious “orgone energy”. He sent these calculations to Albert Einstein, who graciously wrote back to him, showing where his calculations were wrong. Reich then wrote again, allegedly showing where Einstein had made an error. Einstein never wrote back. Some in my family took this as evidence that Einstein was stumped. But most people would conclude that Einstein decided he had better things to do than continue an argument that wasn’t going anywhere. This story has all the more poignancy to my family because my grandfather Henry, William’s brother, died of cancer while trying to cure himself by sitting in an orgone accumulator. I don’t of course, believe that Wilhelm Reich is responsible for my grandfather’s death. But clearly, Reich was wrong, and Einstein was right. “But wait a minute,” you might say. “You guys at RealClimate are no Albert Einstein.” True enough. But like Einstein, we’re constantly subject to criticism from our fellow scientists. That’s what the process of peer review is all about. It’s not a perfect process, but it does provide an efficient means to separate ideas that have traction from ideas that are going nowhere. Greenspan’s pronouncements about the economy, on the other hand, were not subject to any such process. There might be a lesson in that.